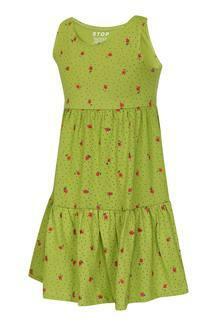 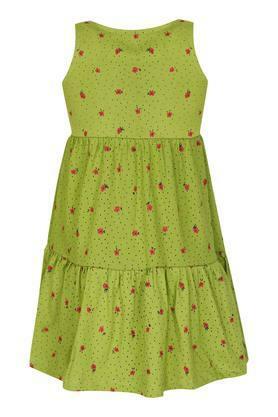 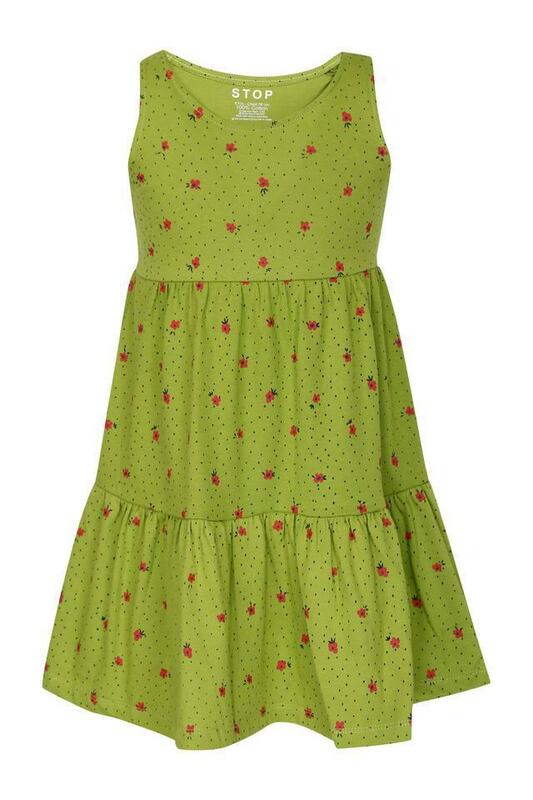 Allow your little girl to walk in style by wearing this A-line dress presented by Stop. It has been made of a premium quality fabric, which will keep her at ease throughout the day. Furthermore, it features a printed pattern that renders it trendy, while the round neck adds to its design. Make your daughter look stylish by letting her wear this beautiful dress on any casual occasion. Tailored to perfection, it will go well with a pair of ballerinas and a matching hairband.